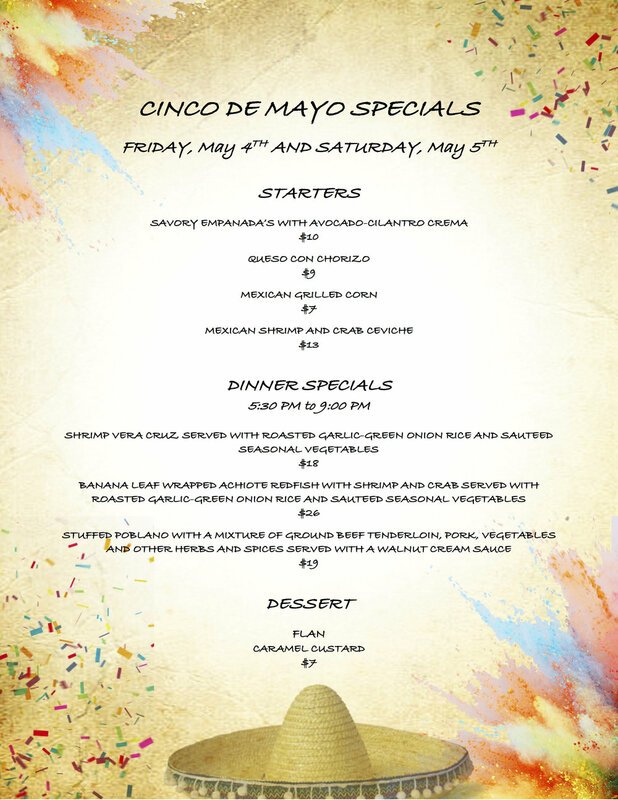 Celebrate Mexican heritage with us May 4 & 5 with special appetizers and Happy Hour only at our open air bar above the restaurant! Do you know why we celebrate Cinco de Mayo? Click here to find out and learn about the Texas connection!